“The managers report that they have received six men and buried four men in the last twenty-four hours,” recorded the secretary for the committee combating yellow fever in Philadelphia. Yellow fever, an Ebola-like epidemic, struck Philadelphia, the nation’s capital city, in August 1793 and killed as many as 5,000 before frost arrived and stopped its spread. “Orders were informed this day from the City Hall of the interment of thirteen persons,” the committee concluded in its Oct. 24 report. One of those who died that day was John Todd, the husband of Dolley Payne Todd, the woman who later married James Madison, who became the fourth president of the United States. By October 1793, John’s parents were ill with the disease known for its black vomit and blood leaking from the skin, nose, and eyes. Because it turned skin yellow, it was called yellow fever. “A revered father in the jaws of death and a love’d husband in perpetual danger,” Dolley wrote about her father-in-law’s illness to her brother-in-law on Oct. 4, 1793. As many as 17,000 people, including members of the federal government, had left or would soon leave Philadelphia, whose population was more than 28,000 according to the 1790 U.S. Census. President George Washington departed the disease-afflicted city to attend the September 18 cornerstone-laying ceremony for the U.S. Capitol in Washington City, slated to become the nation’s capital in 1800. 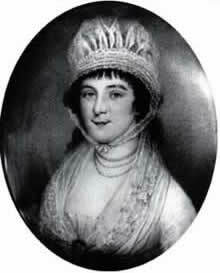 Dolley explained why her immediate family didn’t flee the city. “I have repeatedly entreated John to leave home from which we are now unavoidably banished, but alas he cannot leave his father,” she wrote, adding that her youngest child, an infant, was sick and she would not leave him. Her infant died, as did John Todd and his parents. Dolley and her oldest son, Payne Todd, survived. She was a widow and her child had no father. Back then, no one knew that mosquitoes carried yellow fever. Unlike Ebola today, yellow fever does not transfer from person to person through bodily fluids. Once frost arrived and mosquitoes disappeared, the disease stopped spreading in Philadelphia that year. Thus, in a strange way, a historic epidemic played a domino-like role in presidential history. Had Todd survived, Dolley would not have married Congressman James Madison a year later in 1794. Seventeen years older than she, he’d not been lucky in love before meeting her. While Madison might have become president without Dolley, she played a critical role in his public image. Her charisma and charm made up for his introverted, social deficiencies. Many important and influential people might not have met Madison or considered him for president had it not been for Dolley’s parties and her outgoing personality, which drew people to him. Her charismatic charm and beauty attracted others, while his intellect impressed those who credited him as the Father of the U.S. Constitution. Though her life was forever changed by the yellow fever epidemic 221 years ago today, Mrs. Madison left an indelible mark in American history . This entry was posted in History, Medical. Bookmark the permalink.